In their daily life, it's very important for diabetics to know the insulin response of a food in order to predict their blood sugar response. "Diabetic Lifestyles Bread", a 100% Sprouted Whole Grain recipe, was submitted for testing to the Glycemic Research Institute in Washington, D.C. and was clinically proven to be Low Glycemic with a Low Glycemic Load when fed to diabetics. Actual clinical results show a Glycemic Index of 5.0 on the glucose scale (0-100) and Glycemic Load of 0.9 per serving. Additionally, diabetics experienced a reduction in blood glucose by the end of the testing period! Made with organic sprouted wheat, and sweetened only with organic fruit, this delicious recipe contains no refined sugars, no added oil, no gmo's, and no flour. 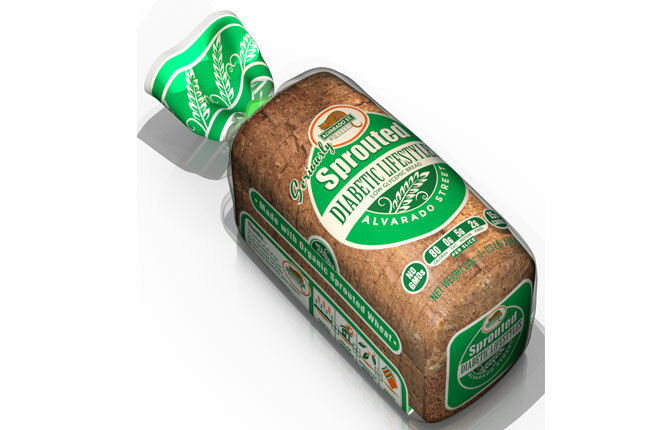 We're confident that you'll enjoy this unique bread as part of your healthy lifestyle.